Milton and the Devils Party was formed in 2001 by singer-songwriter-bassist Daniel Robinson and guitarist Mark Graybill. Guitarist Pat Manley joined in 2002 and, after departing in 2007, performs occasionally with the band. Drummer Bob Falgie joined in 2006. Since then, MDP has played hundreds of shows in the Philadelphia area and occasional shows in and around NYC. The band’s first album, What Is All This Sweet Work Worth?, was re-released in 2006 by the New Jersey indie label FDR. The follow-up, How Wicked We’ve Become, was produced by Brian McTear and released by the Philadelphia label Transit of Venus in 2007. 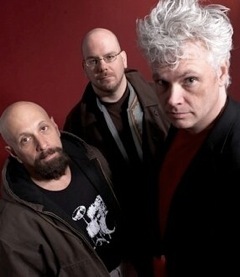 A third album, You Must Contribute, Brain!, also produced by McTear, is forthcoming in 2012.